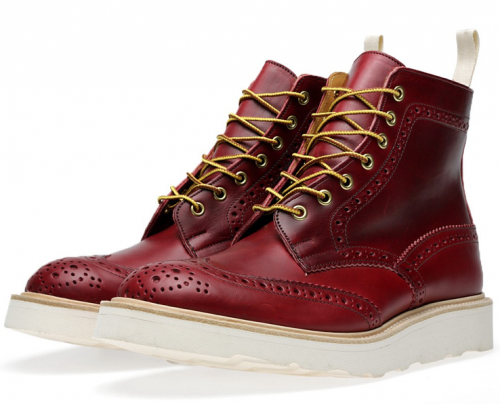 Gentlemen these amazing beauties in footwear are from the latest collaboration effort from TRICKER’S and END retailer. This collaboration with one of the greatest names in shoemaking Tricker’s is the Vibram Sole Stow Brogue Boot a take on the classic Stow Brogue Boot. This Stow Boot is reworked with a durable Vibram sole unit and supple Aniline Leather uppers all crafted at the highest level. This is the Lollipop Red Cavalier Leather colorway but there are 3 more HERE that you should and can buy now.